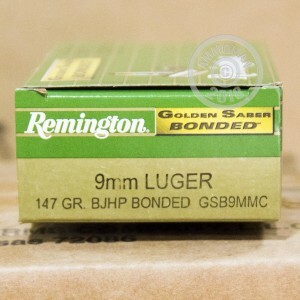 These 9mm Luger cartridges from Remington deliver excellent terminal performance thanks to the Golden Saber bullet, a brass-jacketed projectile that offers strong penetration to facilitate quick incapacitation of assailants. 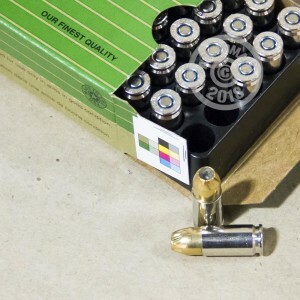 Each cartridge in this case of 500 fires a 147 grain jacketed hollow point bullet. This is a standard pressure load that works well with both full-size and compact pistols and synergizes well with suppressors. 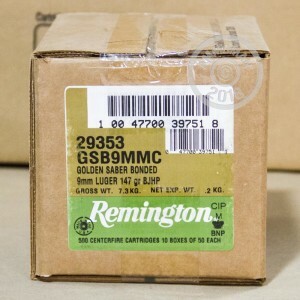 This ammunition uses non-corrosive Boxer primers and nickel-plated brass cases.